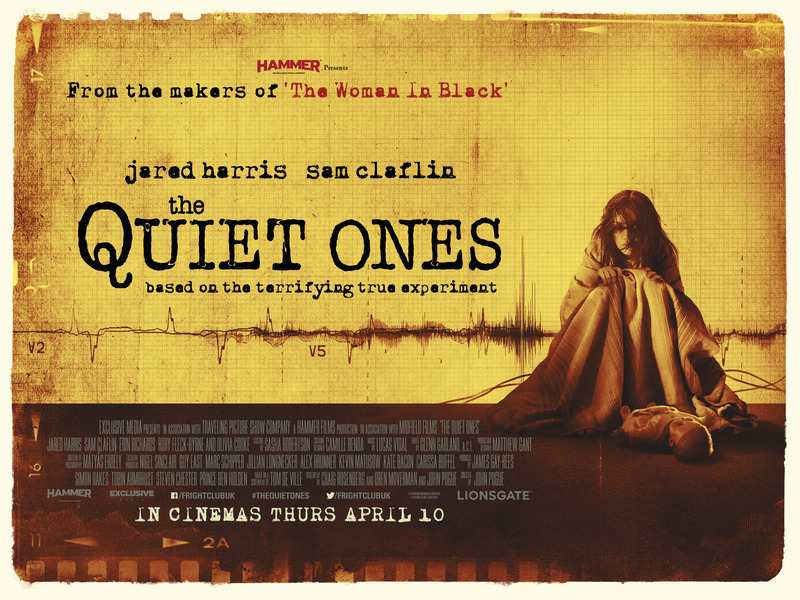 John’s Horror Corner: The Quiet Ones (2014), abnormal psychology faces off against paranormal psychic phenomena and loses in this well-acted yet poorly written film. MY CALL: Very entertaining, but it’s not making any “top” lists this year. This film was good-but-mismanaged and found greatness out of reach due to weak story synthesis and character development. However, this movie is rich with charm, jumps and excellent production value. So watch it with a date instead of with a horror snob. 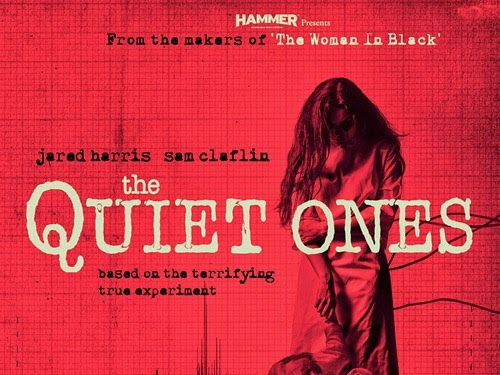 MOVIES LIKE The Quiet Ones: Case 39 (2009), The Conjuring (2013) and Oculus (2014) all share some positive elements of this film. Loosely based on a true experiment that took place in Oxford in 1974, this film delves deep into the notion that what we commonly consider “the supernatural” actually represents telekinetic and “teleplasmic” manifestations of the minds of disturbed believers. 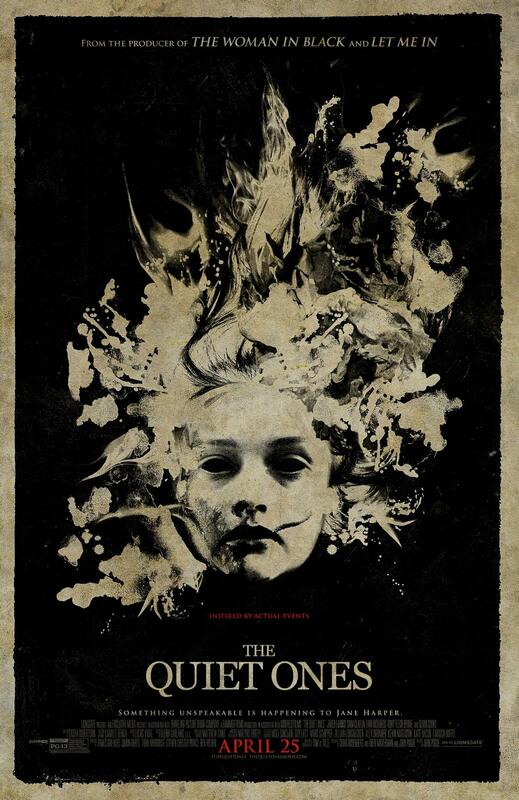 Led by Professor Coupland (Jared Harris; Poltergeist, Pompeii, The Ward), graduate students Krissy (Erin Richards; Open Grave, Being Human) and Harry (Rory Fleck-Byrne; Vampire Academy) and videographer Brian (Sam Claflin; Snow White and the Huntsman, The Hunger Games: Catching Fire) band together to investigate the psychic phenomena produced by the suicidal young Jane (Olivia Cooke; Bates Motel) with hopes of “curing” her. From Act One to the next weird things happen, Coupland’s methods are called into question as Jane’s health is placed at increasing risk, and Coupland shifts from methodical to manic in his obsession to cure her. Both Coupland and Brian share a competitive interest (almost a sexual fixation) in saving her, but go about doing so by conflicting means. Jared Harris’ psychological descent is impressive and committed whereas Sam Claflin embraces his character’s own brand of emotional fragility. This film was filled with entertaining moments including shocking effects, gripping jump scares and some long scenes tensed up with a solid creep factor. I’d add that the acting was very good; great, in fact, for a horror film. 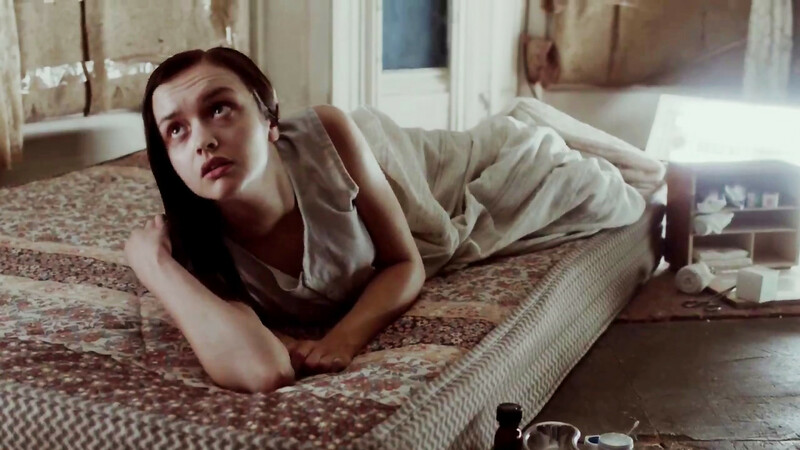 Olivia Cooke managed to capture crazy, disturbed, scary, dangerous and sympathetic all at once. 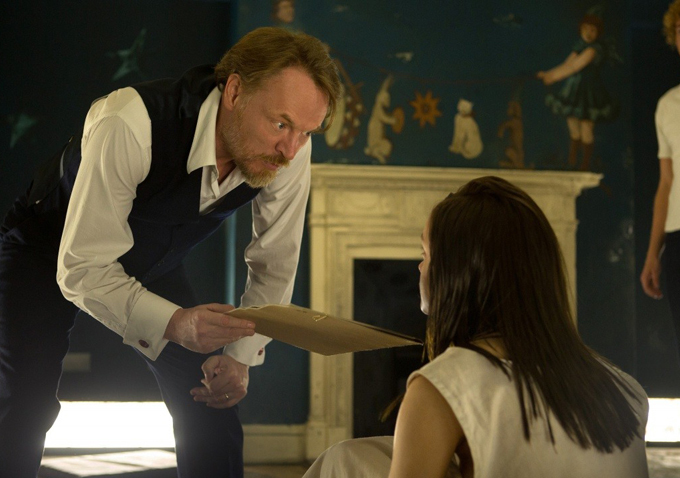 The style of the film goes from something like a “house” movie, to a demonic possession movie, and then to something altogether different which I don’t want to spoil (not that it’s anything super special). Jane has her good days (above) and her bad days (below). However, as the story shifted gears from skeptical science and rational explanations to “what have we gotten ourselves into?” I found myself generally uninvested in the characters and the outcome. Don’t get me wrong, the movie is not without its charm, I enjoyed it and was entertained, and I really “liked” the characters. The thing is, their “development” didn’t lead me anywhere interesting. And whereas the facets of the story (and the scenes behind them) were independently interesting, they failed to find any of that effective and satisfying synthesis that makes us care if the protagonists succeed. This actress really captures desperate, bewildered loneliness in a sort of Christina Ricci way, doesn’t she? Like a grown up (and psychologically messed up) Wednesday Addams. Director John Pogue (The Skulls, Quarantine II) may not have wowed us with this film’s story synthesis. But, given his résumé, this represents a good step forward in his professional development and I must admit that it was very entertaining. However, the premise itself is more interesting than its execution. It won’t please gore hounds or story snobs who pine only for unique horror fare–and who, might I add, are almost never 100% happy with what they’re served–but it will please the popcorn “movie night” guys who just want to see good effects, enjoy acting that doesn’t hurt their soul, and laugh at well-placed jump scares. It would probably be a good scary movie on date night as well. Had it only balanced its writing with its quality scares, acting, ideas and filming with a better screenplay, this would have been quite good instead of good-but-mismanaged. 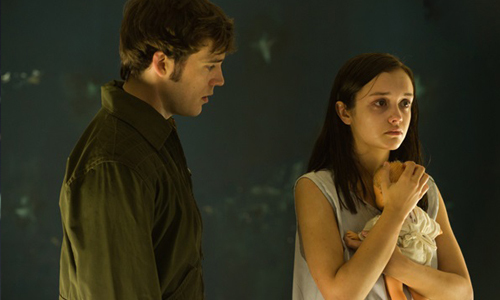 To the less-initiated and perhaps younger horror fan, this PG-13 film may serve as a great introduction to horror. Those who aren’t overly critical or “so tired” of loud-noise induced jump scares should get a real kick out of this. What it lacks in character development and cohesiveness it more than makes up for with jumpy scares, neat effects, minimal gore, great acting, solid production value and a cool premise. Oh, it’s worth a watch as long as we leave our critical eyes checked at the door.